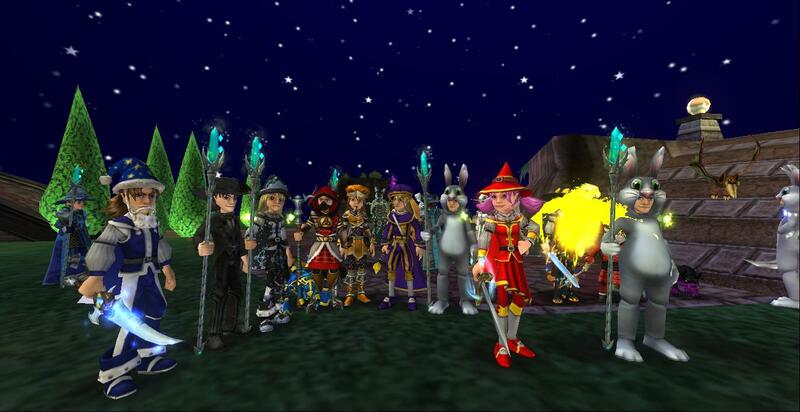 The twittersphere has been blowing up the all day with Wizards from around the spiral tweeting about the First Annual Wizardly Awards. The hashtag #WizardlyAwards was seen EVERYWHERE as people said who they thought would win which awards, what it was like, and much more! Host Angel Ice did a magnificent job holding the awards in his Myth House which was full to the gills! In the rest of this post, I'll be giving you a rundown of the whole event, who won what award, exclusive interviews with the creator of the Wizardly Awards: Tyler Battlewalker, one of the hosts for the night: Angel Ice, the winner of three awards: Kelsey Fireheart, and the fabulous Lindsey Goldengrove who was the photographer. In addition to all of that, I will be doing an overview of the private after party and what it was like with some amazing photos and a special video made by those who attended the after party. Plus get the inside scoop on next years Wizardly Awards such as where and when they will be! Every time a winner was announced, the crowd would wish them a congratulations and everyone would get excited. It was an amazing atmosphere and the level of excitement was out of this world! After all the awards were announced and given out, everyone hung around for a bit more to talk. Not to mention, everyone participated in a friendly game of Tag. I got to catch up with many friends such as Kelsey Fireheart, Paige Moonshade, Autumn Dreamwalker and a few others who I hadn't talked to in months which really was a blast. I suddenly got a message from my good friend Ed Lifegem telling me to port. 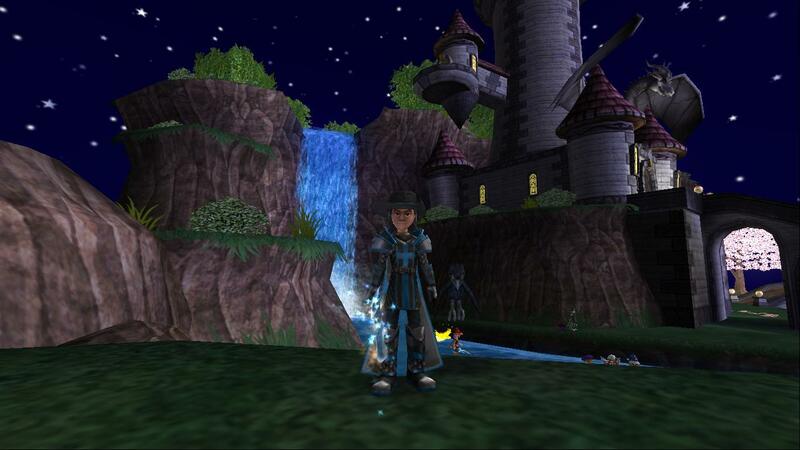 Once I ported, I found Ed there with a few other Wizards and all the winners of awards. At the moment they were taking photos of the winners, but when they finished, we all started to party together and hang out. Since it was an exclusive invite-only after party, only about 20 or so Wizards where there. I got the opportunity to meet up and have a nice conversation with Angel Ice who runs the amazing blog Angel of the Spiral which is really nice and he has some amazing posts on there which I feel like you guys would like. If you get the chance, you should really check out his blog and also his YouTube Channel where he has a variety of amazing videos. I then got to know Lindsey Goldengrove better and now we are good friends and the three of us had a nice conversation. 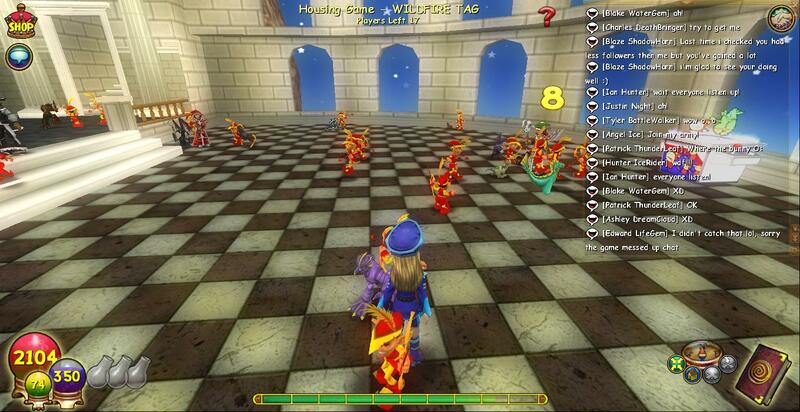 We all eventually added each other so we could keep in touch while in game. 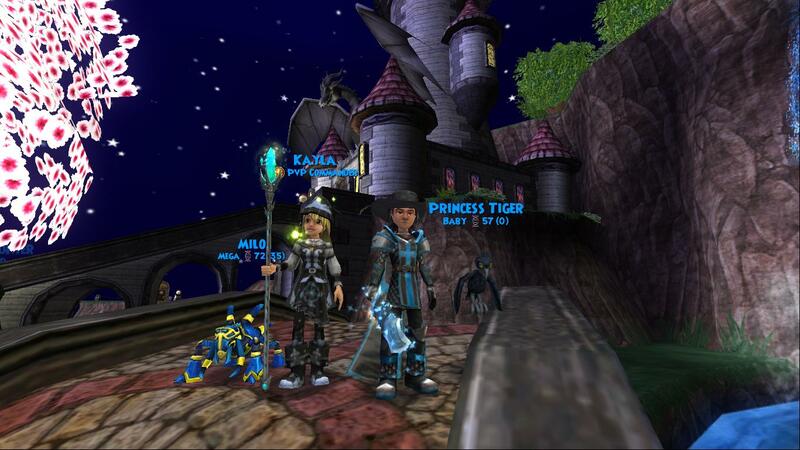 In addition to that, I got the pleasure of meeting Kayla who is well known for her YouTube Channel: kaylaTHEwizard. 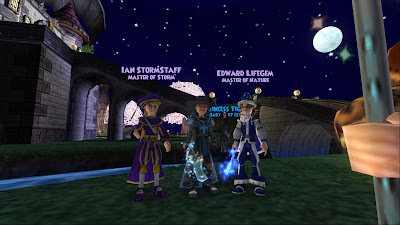 We had a nice chat regarding Wizard101 related YouTube videos and how we have such an amazing community and then we eventually added each other and took a few photos. Epic much? I think yes. Now that you have a decent understanding of what the Harlem Shake is, here's the video of our after party Harlem Shake! Pretty neat huh!? It was a real blast to make and share this with people such as Angel, Ed, Kayla, and a few others. From the moment it started, there was a large amount of enthusiasm and excitement from everyone attending. There was a full house which is always great to have at these events. The house was well prepared for the attendees and there was little to no commotion regarding seating. Although there was some distracting talking while Angel was trying to present awards, the ceremony went well and everyone was very excited. The steps taken to make this a success were impressive (security, management, etc.) which always reflects well on the host. The after party was well coordinated which led to everyone having a blast. In conclusion, I would have to give the First Annual Wizardly Awards a 9/10 rating for it's outstanding setup and performance. Well done! With all of this said and done, I also got the chance to get a short interview with Tyler, Angel, Lindsey, and Kelsey. Here's what they had to say regarding the Wizardly Awards. Me: Kelsey, what did you think of the First Annual Wizardly Awards? Kelsey: I greatly enjoyed the Wizardly Awards. I was surprised at how many people went. It's really nice to see the support from the community! Me: You won three awards: Wizard of the Year, Most Dedicated Twizard, and Wizard Who Tweets The Most. What was it like to win an award? Me: Thank you so much and congratulations! Me: Lindsey, what did you think of the First Annual Wizardly Awards? Lindsey: The Wizzy Awards were amazing. I really enjoyed it and had a blast! Lindsey: My favorite part was when Kels won for the 3th time. It was very exciting! Me: If you had to give a 1-10 rating of the Wizardly Awards, what would it be and why? Me: Thanks for your input Lindsey! I'm glad you had a blast! Me: Angel, what did you think about the turnout for the Wizardly Awards? How did you think it went? Angel: I thought the Wizzy Awards came out great! The only low I had was people talking. Me: Can we expect another Wizardly Awards next year? Angel: Yes, but next year for the Wizardly Awards, we will know how to remove that "situation". Me: Thanks again for your time Angel and for hosting the Wizardly Awards! Great job! Me: What drove you to create the Wizardly Awards? 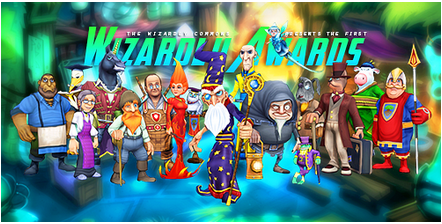 Tyler: I was thinking about how to upgrade the Wizardly Commons & the idea just hit me! Me: How long did it take to plan? What did you have to set up for it? Tyler: It took me at least two months. I had to set up blogs, buy a new house, put up polls, get my staff together, & most hardest of all; get legends to make the awards official. Me: Do you plan on having the Wizardly Awards next year? Tyler: Yes, we do have the date already! Its January 4, 2014. I plan on using the same house, but organized in a different way. Me: Thanks again for your time Tyler and for planning the Wizardly Awards! It was a huge success and I can't wait until next year! 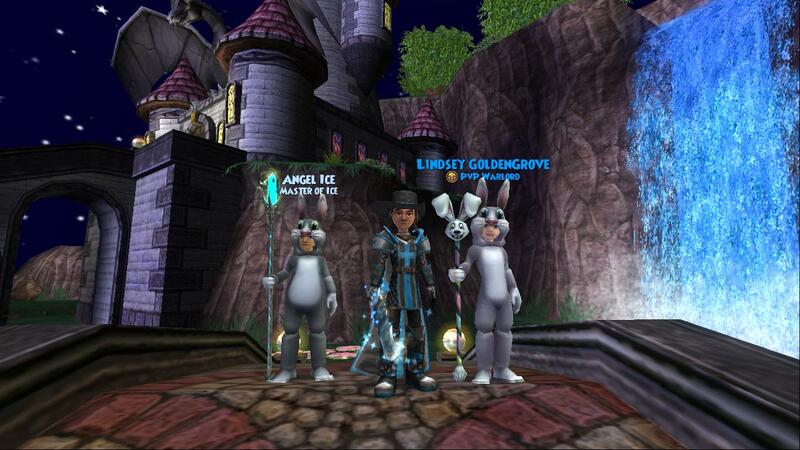 In conclusion, the First Annual Wizardly Awards were a huge success! Everyone had a blast and it was nice to get together as a community. With that being said, bellow I am going to be including photos of the presentation of each award (photo creds to Lindsey) as well as a few photos of my own. Before I do so, I would like to take a moment to bring to your attention a fairly new blogger in our community. 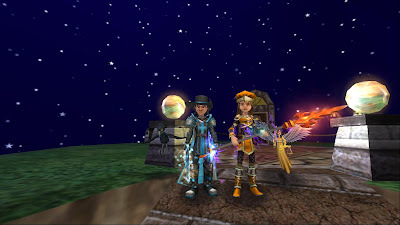 Earlier today, I was reading my good friend Des's newest post regarding an interview with this Pirate Rylee who owns the blog Stormgem's Quest. After reading Des's post, I decided to check out Rylee's blog. 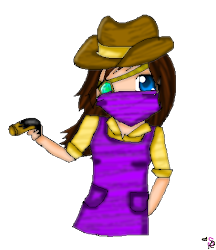 Rylee is a fairly new blogger who's been running her blog since December of 2012 and I must say, she has a talent with artwork! Aside from that, she has some intriguing posts that I'm sure you guys would like. Her posts tend to consist of her travels in the Spiral and updates on what her Pirate is doing. Being a newer blogger, she doesn't have many followers so I feel like it would be really nice if you all went and followed her blog. Well enough from me, go check it out yourselves at http://stormgemsquest.blogspot.com! Here are the photos of the award presentations. Now for my photos and some photos from others! Well that raps up this post! Thanks for reading and congrats once again to all the winners! I was there and it was cool! Nice review!